The Cathedral at Bury St Edmunds had a Christmas tree festival this year. The proceeds from the entrance fee were divided between the Cathedral and the Charities that decorated the trees. 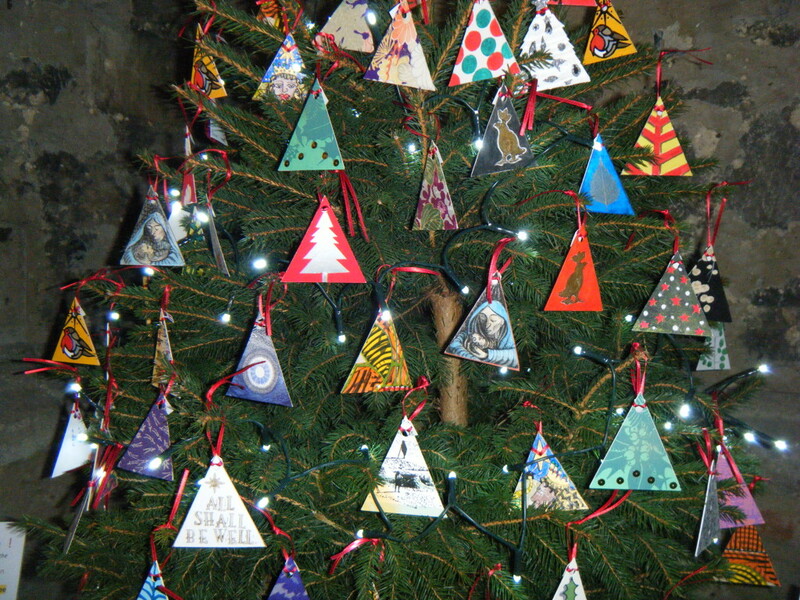 I asked loads of artists if they could make a small triangular decoration so that I could decorate a tree in aid of the Artists’ General Benevolent Institution (AGBI) and they came up trumps. Thank you!